Love Yourself and Others On Valentine’s Day! From my column the week of February 8 in the Albert Lea Tribune and The Courier Sentinel. I love Valentine’s Day. It is my favorite holiday over Christmas and Thanksgiving. I don’t love Valentine’s Day because I get so many valentines, although my husband usually remembers the day. It wasn’t always that way in the early days of our marriage. He did pretty good the first year. He welded me a Valentine sign that said he loved me. It is awesome, and I still have it 45 years later. It is my favorite Valentine’s Day gift from him over the 45 years. There were a couple of missed years because he didn’t realize how much the sentiment of love meant to me, but he does now and never fails to remember the day. I too, over the years have not always been thoughtful on the day either so we evened each other out. In thinking about the day I have examined why this day is so wonderful in my mind and of course the answer is love. We all want love in our life. We all want to feel remembered and cared about. I also like the color red and love hearts, so that adds to my joy of the day. I also like the day because it is a great time to do special things for special people in our lives all in the name of love. There is a downside to Valentine’s Day if we let it happen to us. On the years I didn’t receive any valentines from my family, kids or husband I felt let down, left out and unloved. They didn’t intentionally mean to make me feel left out; I made myself feel that way. In my heart I knew I was loved, but my head had the poor me sentiment. And I let it ruin my day. I finally realized my family is not into Valentine’s Day, and it was silly to have the attitude I did. They show me they love me all through the year. My mom loved Valentine’s Day. I could always count on a card from my mom. I always gave her a card and something on the day. I think I got my love of holidays from my mom because she loved holidays. It seemed out of character for her, but she always wanted to celebrate the holidays. 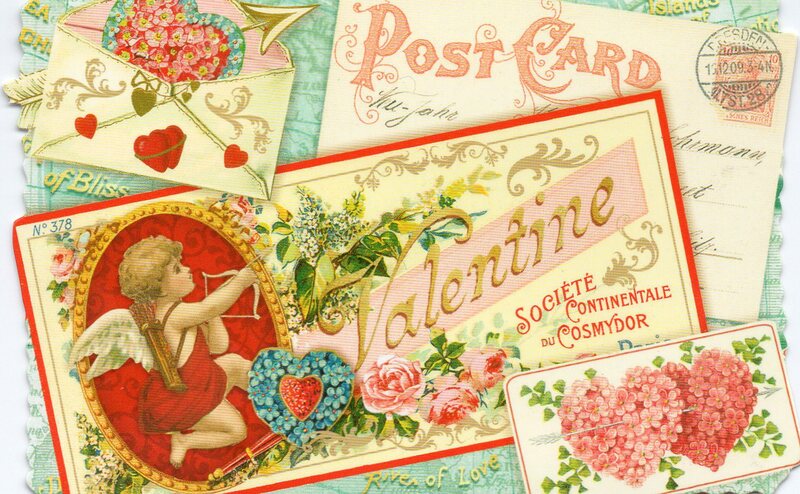 In fact, I know she loved Valentine’s Day because she kept all the old-fashioned valentines from the ’20s and ’30s and all the cards she got from me and my dad. When I realized she kept the memories, it made me feel loved. Once I changed my attitude about the day I began to love Valentine’s Day. I enjoy the decorations, playing love music and sending valentines, and sometimes I even buy myself some candy or flowers — although I know I will receive a valentine from my valentine. A few years ago a woman told me how she missed Valentine ’s Day. Her husband had died and now she didn’t get any valentines anymore. I guess this is what this column is about, sharing the love. If you are lucky enough to have someone in your life to remember you on the love day, take time to remember and perhaps put a little love into someone else’s life who may not be remembered on the day of love. And if you are that person who is not remembered, love yourself on this special day. Go out to eat, call a friend, buy yourself some flowers or some candy or indulge in something silly and fun to make your day. Love yourself. It is not selfish or indulgent; it is a healthy pick-me up. Next Mental Dental Mishap Fear!